At the annual Krasnoyarsk Economic Forum, which took place in the center of Siberia at the beginning of March, participants looked for new trade partners and new ways to find success in an environment of economic crisis. Alexey Lossan of RBTH spoke with Sergei Belyakov, the organizer of the Krasnoyarsk Forum as well as the president of the St. Petersburg International Economic Forum about how Russia can attract foreign investors given the difficult political climate. RBTH: Was the Krasnoyarsk Economic Forum an internal Russian event or was its objective to attract foreign investors? 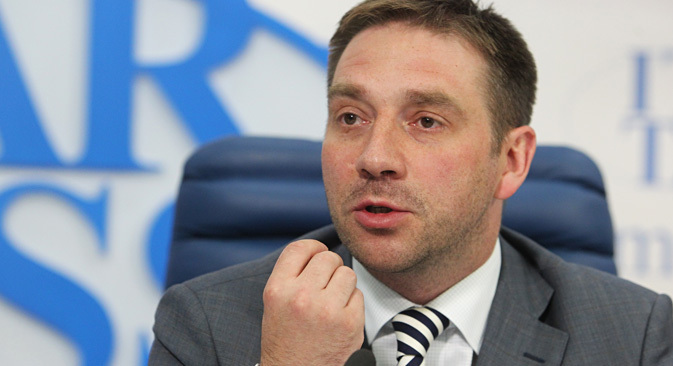 Sergei Belyakov: Attracting investors is not our only objective, but it is one of the main ones. We are trying to look at our country's economy from the viewpoint of foreign experts. By interacting with them, we expand our worldview, while the federal and regional governments benefit from additional expertise. Money is still coming into the Russian economy, though not in the amount that we would like. The world economy is not at its peak currently. But Russia still remains an interesting market for investors. RBTH: It's not a secret that in 2014 during the St. Petersburg and Sochi forums – two of the largest forums that your foundation organizes – there were not many participants from Europe and the U.S. Moreover, the U.S. administration advised heads of American corporations not to come to the forum. How is it possible to attract investment in such conditions? S.B. : It's true that the largest international corporations were not represented at the St. Petersburg Forum on the highest level. However, it's not that there were fewer participants, that is, all companies that operate in the Russian market were still represented. Furthermore, we were able to gather quality participants: often vice presidents and the like are better speakers than the company presidents since they have more profound knowledge of the financial sector and business development in Russia. The advice not to participate in the St. Petersburg Forum also gave us certain publicity. This year we hope that the top representatives of the largest international companies will visit us, despite the pressure being put on them. Experts are also interested in participating in discussions on a high level. RBTH: You say that the forums continue attracting investors from Europe and the U.S., but in 2015, the Krasnoyarsk Forum was almost entirely dedicated to work in Asia. Isn't this a contradiction? S.B. : Not exactly. The Krasnoyarsk Forum lasted for three days and each day had its own theme. The first day was dedicated to youth, the second to work in Asia. Cooperation with Asian countries is a priority for the development of Russia's economy and the economy of the Krasnoyarsk Territory, where the forum is held. The third day was dedicated to the agenda of the Russian government, to discussing anti-crisis measures, to brainstorming. That is why the forum is not only the discussion of cooperation with Asia. RBTH: There are rumors that next year the Krasnoyarsk Forum will be held in Shanghai. Is this true? S.B. : No. The Krasnoyarsk Forum is traditionally ours and it is held in Krasnoyarsk. If there will be something in Shanghai, then it will be a different forum, a Shanghai Forum. In the Asian countries we just carry out work with foreign partners, a sort of roadshow. RBTH: In the end, have there been any differences between Russia's largest economic forums – St. Petersburg, Sochi and Krasnoyarsk? S.B. : Of course, there have been, mainly concerning the themes. The most global international forum in Russia is the St. Petersburg Forum. It is called the Russian Davos, since it is dedicated to the challenges facing the world economy. In the last five years, we've made this forum a major international event. The forum also includes the Russian agenda, but first and foremost it is something that is called "Russia from a foreign viewpoint," that is, what foreign investors consider topical in Russia's economy. The Sochi Forum is dedicated to the development of the investment climate, while the participants of the Krasnoyarsk Forum discuss internal subjects, mainly providing expertise on government activity and formulating recommendations that could become a kind of foundation for the work of the cabinet of ministers. Finally, we also hold a fourth forum called Open Innovations, which is dedicated exclusively to innovations. RBTH: Do you have any plans to hold another forum in the Far East? S.B. : Yes, we plan on holding a forum in Vladivostok, but this year it seems that we do not have any time on the schedule. Initiative aims to increase population and boost economic growth in region.